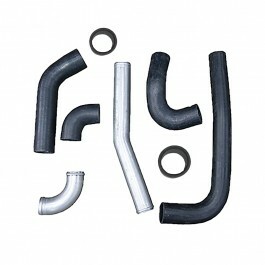 This radiator hose kit includes upper and lower plumbing. The upper hose connection consists of 2 rubber hoses and a bent steel tube. 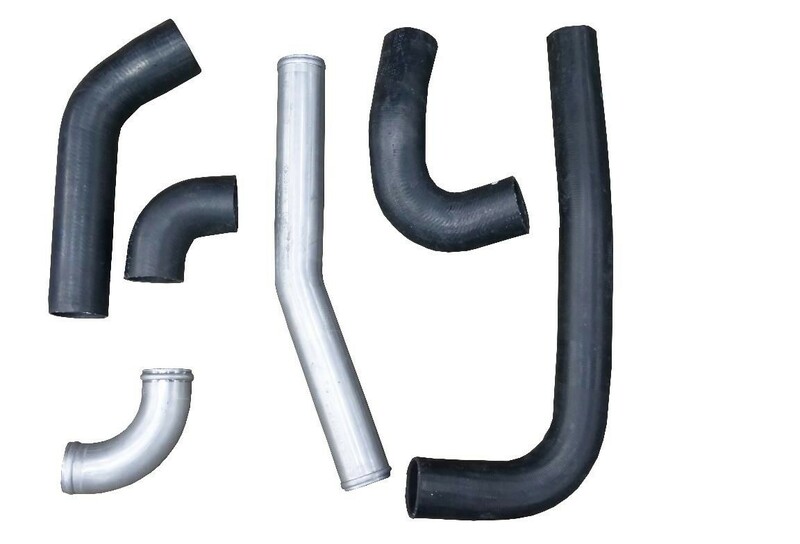 The lower radiator hose consists of two rubber hoses and a short steel section. Some trimming is required and instructions are included. 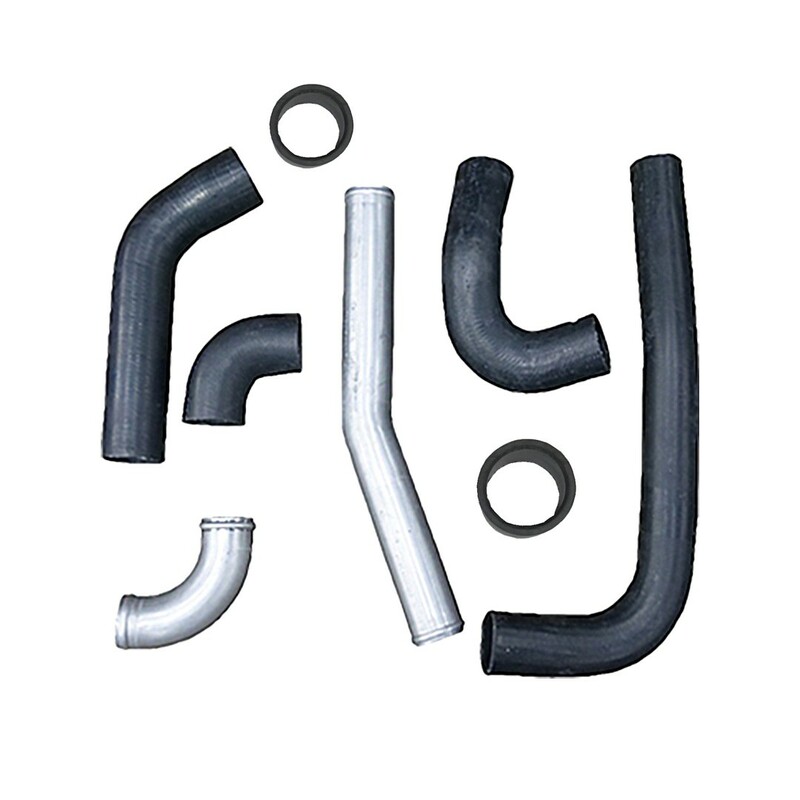 Please note- This radiator hose kit is designed for use with a GM 6.5L diesel radiator. The inlet / outlet on gasoline, even the big block, radiators are smaller than the diesel radiator. The 6.5L inlet / outlet are 1.75"